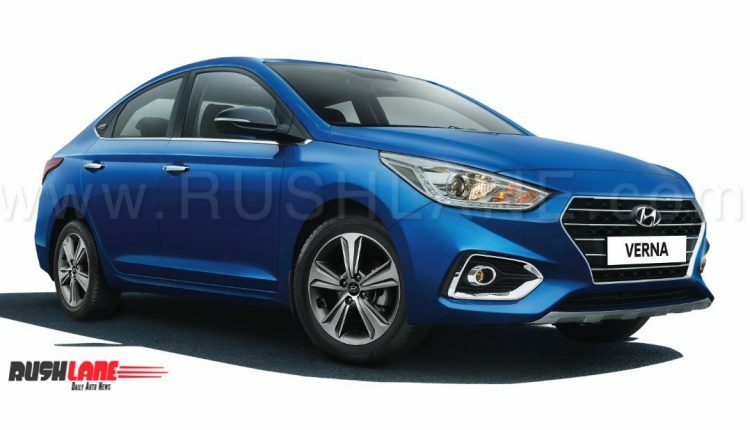 Fifth-generation Hyundai Verna was launched in August last year and it continues to give tough competition to the likes of Honda City and Maruti Suzuki Ciaz. Verna has beaten both City and Ciaz in monthly sales charts on multiple occasions. But as of now, it is no longer on the top. It is the Maruti Ciaz which is on top. 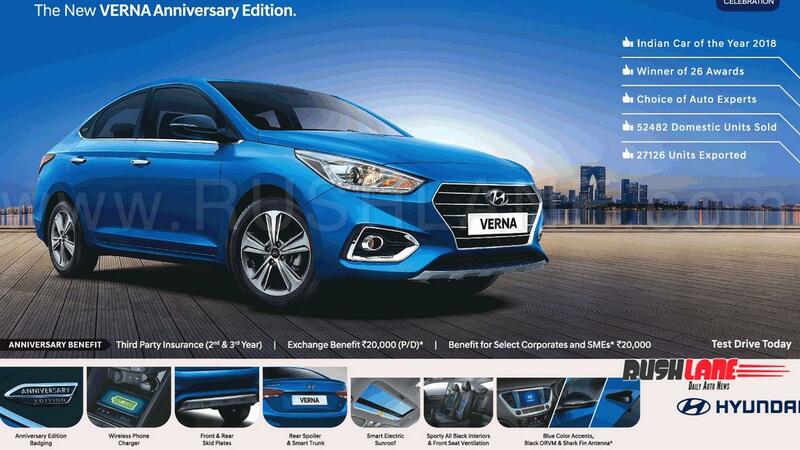 To boost sales, and to celebrate the 1st anniversary of Verna, Hyundai has launched this new edition today. 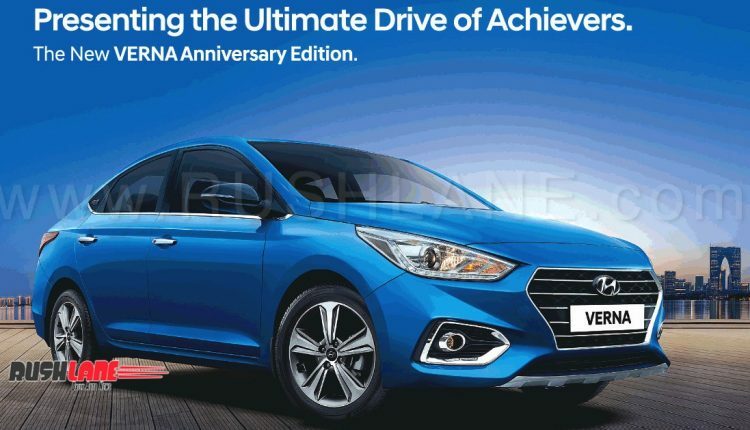 Hyundai has launched the anniversary edition of Verna, which comes in a new Marina Blue colour. 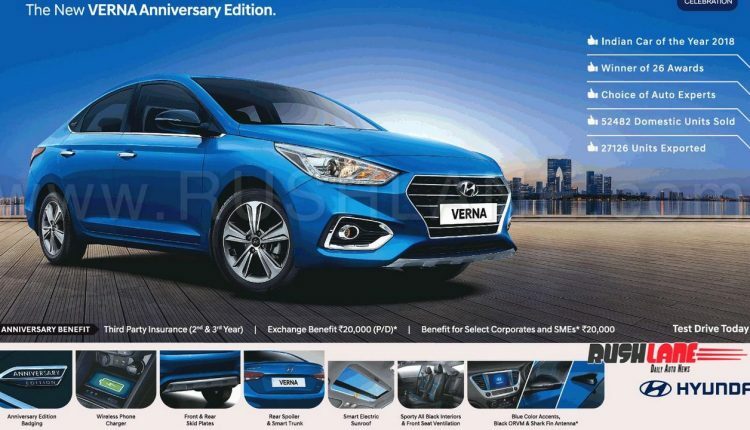 Verna’s average monthly sales are around 4,000 units and the anniversary edition is expected to boost sales even further during the festive season. A total of 52,482 units have been sold in India and 27,126 units have been exported. 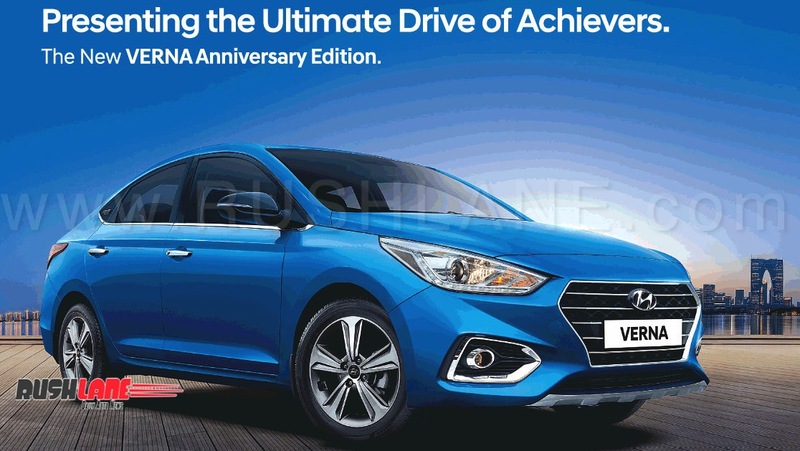 Hyundai is giving a big marketing push to the Anniversary Edition, with attractive offers such as free third party insurance (2nd and 3rd year), exchange benefit of Rs 20,000 and special benefit of Rs 20,000 for corporates and SMEs. Anniversary edition Verna sports a cool Marina Blue colour that can be seen in Elite i20 and Elantra as well. It gets a host of upgrades such as Anniversary Edition badging, chrome plated fog lamps, front and rear skid plates, wireless phone charging, smart electric sunroof, sporty all black interiors, front seat ventilation, blue colour accents, black OVRM, shark fin antenna, rear spoiler and smart trunk. Existing Verna costs in the range of Rs 7.86 lakh to Rs 12.98 lakh (ex-showroom). 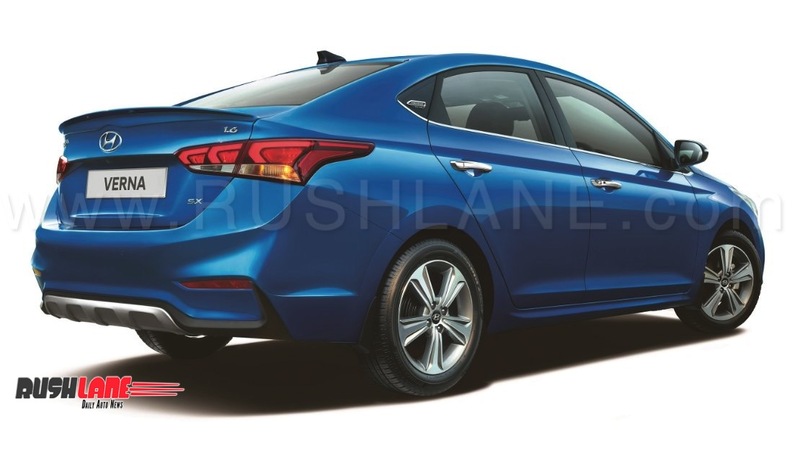 Anniversary Edition Verna is an upgrade of the SX variant, and is offered on the SX(O) trim. It is priced from Rs 11.7 lakhs for the petrol MT variant, Rs 12.83 lakhs for the petrol AT variant and Rs 13.03 lakhs for the diesel MT variant. All prices are ex-showroom, Delhi. There are no changes under the hood, as the Anniversary Edition Verna continues to use the same petrol and diesel engines. Petrol variant is powered by a 1.6 litre engine that delivers max power of 121 bhp at 6,400 rpm and max torque of 151 Nm at 4,850 rpm. The diesel variant also has a 1.6 litre engine that delivers max power of 126 bhp at 4,000 rpm and max torque of 260 Nm at 1,500 rpm. Both petrol and diesel engines are mated to either a six-speed manual or a six-speed automatic transmission.